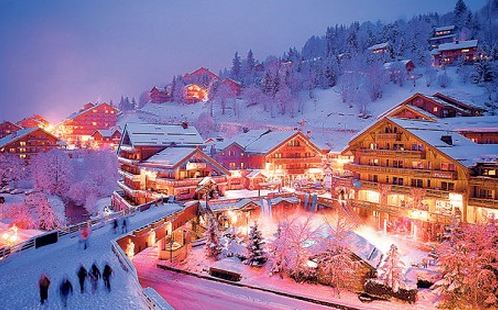 This week’s blog follows on from last week’s post about the luxury French Ski resort of Courchevel. This week we are delighted to inform you about the pretty village of Méribel. Located in the heart of the three Vallées, in the Les Allues Valley, Méribel offers the world’s largest ski area which is a great base to explore, with access to over 600km of pistes and infinite off-piste, adrenaline buzzing opportunities. Snow fall is usually from December to April and the powder days are incredible on this fantastic resort. Due to its convenient location you can reach any of the Trios Vallees resorts quickly and easily. Meribel has become one of the Alps most outstanding ski areas due to its incredible location, extensive skiing opportunities, challenging runs and attractive village's makes this destination a popular, safe choice for a wonderful, memorable holiday. There are two main resorts in Méribel these are Méribel and Méribel-Mottaret. This beautiful valley is made up of a number of stunning traditional villages making Méribel the perfect place to visit. This is a homely resort with an Anglo-French blend providing a friendly and vibrant experience for its guests. This is the perfect resort to spend a guaranteed white Christmas spending quality time with the family whilst feeling festive around large wood burning fires and luxurious warm cosy interiors. For those travelling with non-skiers, the Olympic centre offers a range of alternative fitness and leisure with daily a 25m indoor swimming pool, children’s pool, water slide, fitness centre, climbing wall, spa and indoor ice-rink. There is also snow-shoeing, wonderful traditional horse-sleigh tours, snowmobiling and walking routes are also available. Meribel also has fantastic Apres ski with a brilliant selection of restaurants, luxurious shopping opportunities and plenty of lively bars to entertain all its visitors. Méribel is home to 9 green runs, 28 blue runs, 24 red runs and 7 black runs all of which are serviced by the 15 gondola lifts and 19 chairlifts. Beginners to the slopes or even those who feel a little rusty, will find learn could not be easier with 10 ski schools to suit all levels of ability all will be skiing in no time.